Living beings are known to compete and evolve. Competition always inspires greater efficiency and performance, whether it is within the community, with other communities, or with nature itself. Gamification is the application of game techniques into already existing processes to drive business goals. It does not necessarily mean ‘playing a game’ but simply that the mechanics of a game are integrated into a non-gaming task to increase engagement in the targeted groups. Gamification includes introducing elements like leaderboards, achievement levels, measuring performance, and earning rewards and recognition among others. It can be applied to any process to increase productivity in a work environment, gain more eyeballs, or increase engagement in communities. Why is there a need for Gamification? Gamification makes the use of the natural wish of humans to socialise, learn, triumph, have control and be recognised. Introduction of performance metrics, leaderboards, levels of achievement and rewards etc. naturally impact the consumer (of gamification) to want to do better and be rewarded for their effort. It has not only proven impactful within consumers of a product but also within organisations to drive higher efficiency in employees. With the easy availability of information as well as alternatives, the retention of a customer or an employee is highly essential for the survival of companies. Humans tend to get bored and lose motivation when doing the same task repeatedly over time. Gamifying the repetitive but highly crucial processes increase motivation among the targeted groups and provide them with an enhanced sense of purpose. Game Theory, a branch of Mathematics, specifically studies game mechanics and tries to understand why a player makes a certain decision at a given point in time in the game. Programmers and Game companies are constantly as well as innovatively making use of various Game Mechanics to make their product more immersive and engaging. A well-thought-out Gamification plan is based on the very theories and mechanics and helps businesses increase retention, loyalty, and engagement within the target groups, thereby leading to increased revenue. The presence of the human element in repetitive, mechanical tasks not only leaves room for error but also brings the psychological elements of lack of motivation. These can both lead to a decreased level of performance, thereby affecting the overall efficiency of the system as well as the revenues. Logistics, although now quite organised and automated to an extent, still rely majorly on manual processing. Workers in a Logistic set-up are faced with mundane tasks like inventory and warehouse management, picking up of orders, delivering of orders to the end-user, and operating a certain kind of instrument on a daily basis etc. In the long-term, employees may find these tasks monotonous and lose motivation as a result. This leads to a negative impact on the overall business as a whole. A study conducted in 2012 by Link, Müller-Dauppert & Jung supported the case that the motivation of workers in Logistics is quite low when measured against other business processes. 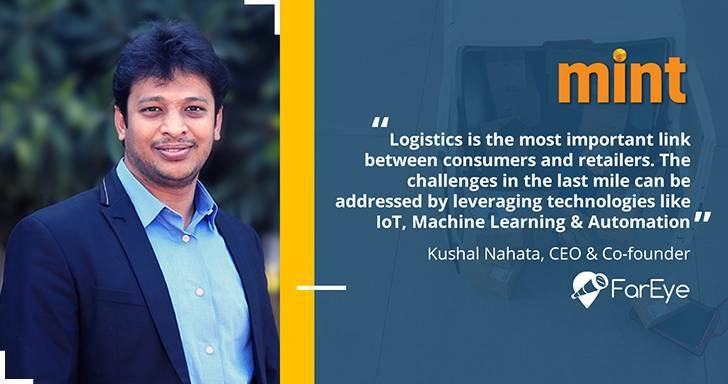 Customer satisfaction and operational excellence is the priority of any logistic-driven business. When the employees are unmotivated, they may lose interest in making high-quality deliveries and compromise on metrics such as speed, quality, correctness, and even their behaviour with the end-user. These can prove detrimental to a logistic business, especially now when there are break-neck competition and no scope for error. Many Logistic companies have already started to provide their employees with salary-based incentives. However, gamification techniques cannot successfully work if the employees are not provided with clear objectives and benchmarks. A study conducted in 2005 by Zaunmuller emphasised how the release of a transparent bonus on the achievement of a well-defined milestone is essential for this system's success. The Food industry is one of the most operations-intensive industries where creativity and efficiency are of equal importance. To eat food is an essential and recurring human need and customers. With competition rising in the food business like never before, customers give a lot of importance to speed, quality, and overall customer experience. Let us take the example of the Restaurant business. Wherein it is important for restaurants to be innovative with their dishes and deliver great taste, it is equally essential for them to deliver these promises to the end-user as well. In the age of fast food and quick service, taste alone cannot drive a restaurant business to make the profit unless it is supported by an impeccable serving & delivery mechanism. A food business faces increased demand during the Peak hours – which are lunch and dinner. Therefore, the time of the day between 2 PM and 5 PM (Lunch) as well as 7 PM and 11 PM (Dinner) sees almost ‘thrice' as much traffic in the placement of orders as compared to the rest of the day. In fact, on weekends, the demand becomes three-fold than a normal week-day. Therefore, it is not only crucial for businesses to fulfil this increased demand but also to do it without compromising on the quality of delivery. The runners are awarded incentives on completing a certain high number of deliveries within a given period. They are given additional rewards if they can achieve an on-time delivery (which is usually under 30 minutes). The introduction of leaderboards within the workspace provides transparency as well as public recognition to the runners. The introduction of user-rating and reviews further enhance this system. When companies receive real-time feedback from their end-user about their delivery personnel's service, it gives them a huge data-bank that lets them study trends and invest in the right metrics and practices. Introduction of other achievements like ‘Best Dressed', ‘Most Polite', ‘The Punctual One' etc. also takes gamification level a notch up and create greater impact within the task-force. A gamification plan needs to be well thought-out, robust, and practical. A lot of times, gamification also gives rise to malpractices like cheating and using unfair means, etc. It also might lead to unhealthy levels of competition and marginalize a certain section of the task-force. Confidence and joy is an outcome of achieving results, but there is a thin line before it turns out bullying. As profitable for a company as Gamification may be, an ill-managed and carelessly sculpted gamification plan might end up doing more harm to an enterprise than profit. Therefore, it is important to take utmost care in this regard. Enterprise mobility ecosystem (EM ecosystem) is an aura of the enterprise in the light of mobiles. It helps to identify the surrounding entities and atmosphere actors for mobile insights. Knowledge of the EM ecosystem is the first step for reckoning of any mobile solution. 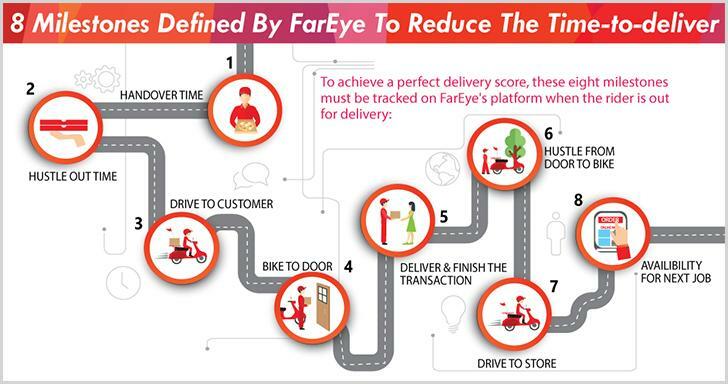 Noida-based FarEye gives organizations real-time visibility and predictive intelligence through its SaaS platform, which enables quick and reliable movement of goods using mobility, data analytics, and automation.